I don’t think I have ever met anyone who didn’t enjoy a few days away from the hustle and bustle of daily life. It truly is a natural thing that we all require to keep functioning. As you know I really do enjoy the luxury life, so completely abandoning everything is very difficult for me. But, when I do get the opportunity to sneak away, I love to have some of the finest, high quality gear to bring on my travels. The Fjallraven No. 21 Rucksack is a fantastic choice if you’re looking for quality, do-it-all gear. 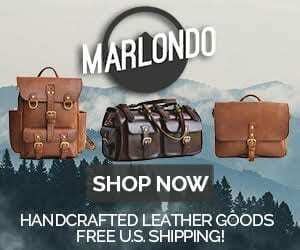 Like many of the leather companies we have reviewed, Fjallraven began because of a distinct lack in quality, specialized goods. Fjallraven was founded by Åke Nordin in Northern Sweden. Åke was an adventurous boy when he realized the world needed better, long-lasting framed packs. His designs were the first of its kind, and once it caught the attention of other adventurers, by 1960 Fjallraven was officially born. With the base principles, of functionality, durability, and dependability, Fjallraven has grown into an enormous, world-wide adventure-seeking company. Adeptly named after the Arctic Fox, each and every Fjallraven bag resembles the traits of this tough, steadfast predator and the Fjallraven base principles. The No. 21 Large Rucksack is constructed using natural vegetable tanned leather, YKK hardware, and Fjallraven’s signature heavy-duty G-1000 fabric. The rucksack is extremely durable and spacious. Standing at 52cm high by 29cm wide by 15cm deep, the rucksack is capable of 30 L of space. The thick leather straps attach securely to the metal posts and then are held in place by the metal loops, which covers the main compartment opening sheltered by a snow lock. The inside of the bag is very simple with only the large main compartment, padded laptop sleeve, and small items zippered case. 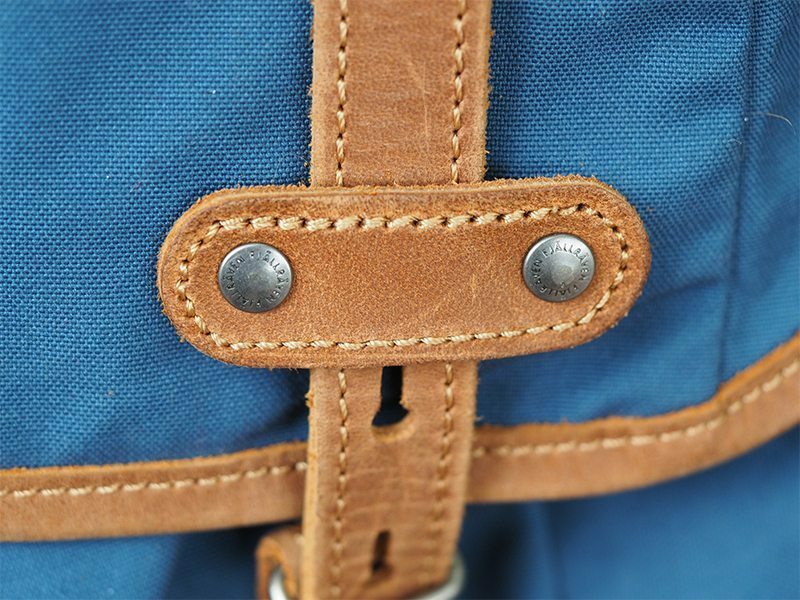 The most durable, and most important part of this rucksack’s construction are the padded shoulder straps attached to sturdy leather strips with metal rivets. These straps are some of the more secure feeling shoulder straps I have pleasured my back with. The No. 21 Large Rucksack is constructed extremely well, and will definitely last for many, many adventures. I recently took the No. 21 Rucksack on a trip to Banff National Park. I was happy to be wearing the Fjallraven bag on my way to the Lake Agnes Tea House. In the bag I had an extra outfit, hoodie sweatshirt, Olympus camera, GoPro Hero 4, knife and flashlight, two bottles of water, portable power pack and phone charger, a glasses case, my tobacco pipe, and a Kammok camping hammock with straps. I actually still had room left over to put more things had I needed them. The No. 21 Rucksack functioned flawlessly. While I did receive a little irritation on my lower back from the leather rubbing my shirt, I realized later it was only because I had accidentally offset the adjustable shoulder straps when I was putting the bag on. The rucksack is a fantastic adventure bag with more than enough space for essential adventure items. The natural vegetable tanned leather is extremely soft and has already developed a lovely patina from consistent use. I have actually had this bag since February, so I have definitely used it often and taken it with me on several trips and motorcycle rides around central Oregon. The G-1000 material is pleasantly pliable, but still has that sturdy, well-made feel. The No. 21 Rucksack has been treated with Greenland wax, giving it an eco-friendly weather-resistant exterior. The rucksack comes in three sizes and several different colors. Each one contrasts perfectly with the natural leather and will definitely make a stylish adventure bag. I have been very pleased by the Fjallraven No. 21 Large Rucksack. 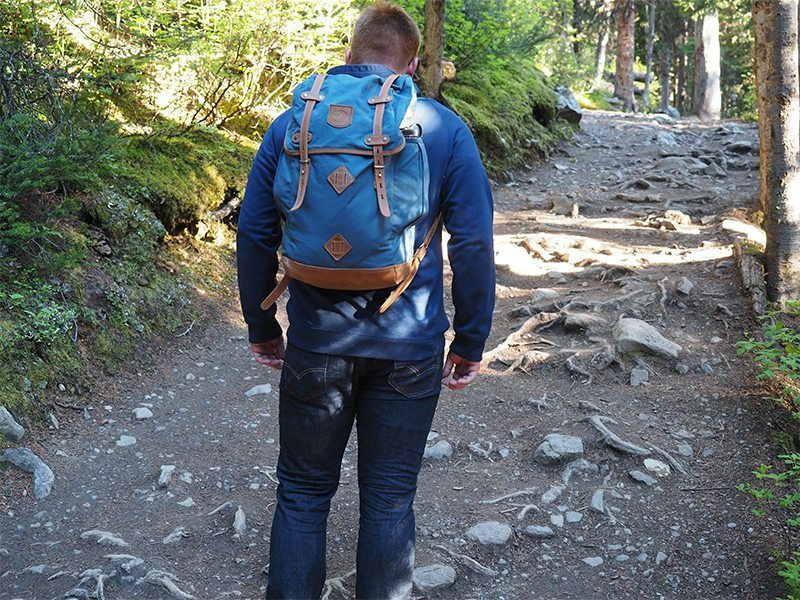 Fjallraven has done an excellent job combining the high-quality materials, adept functionality, and durability to make a great adventure backpack. If you are looking for a bag that can truly function in all conditions and settings, head over to the Fjallraven website and pick out a size and color. At only $225, the No. 21 Large Rucksack is a wise investment for the adventure-seeking traveller.